Temp in the 50s, mostly sunny, Wind NE at 5-10 mph. The morning birding was uneventful at the usual places. No new birds at any of the willows or spruces. However, we are starting to get activity (Gray-crowned Rosy-Finches) at the “thrush” feeder up near Navfac Creek. This is where we had as many as 8 Hawfinch last May! We hope this will attract passing vagrants. 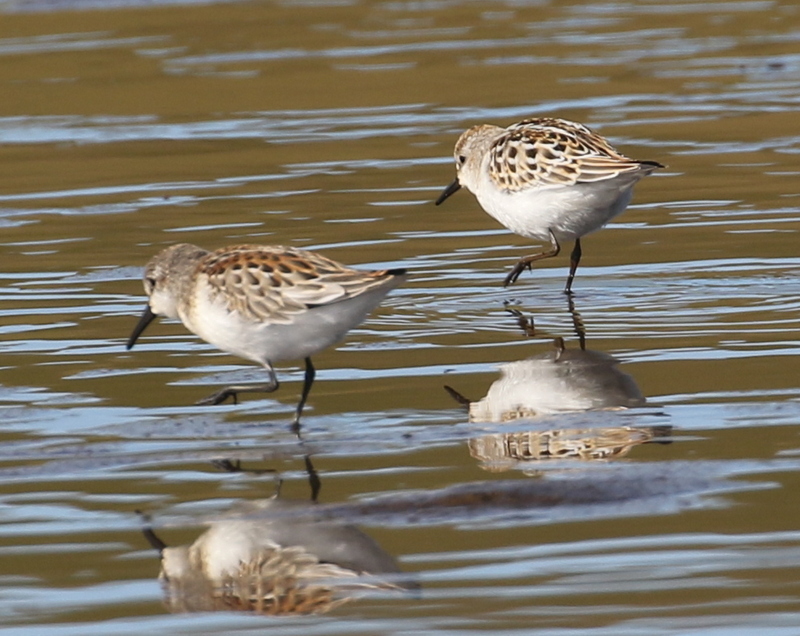 At Clam Lagoon, we had a flock of 8 Sanderlings way out on the flats. No other species mixed in. We drove out to the Loran Station, but did not add any new birds out there. At the Seawall, we still had a Parasitic Jaeger joining in on the various gull feeding-frenzies. And I saw one lone Short-tailed Shearwater fly by. 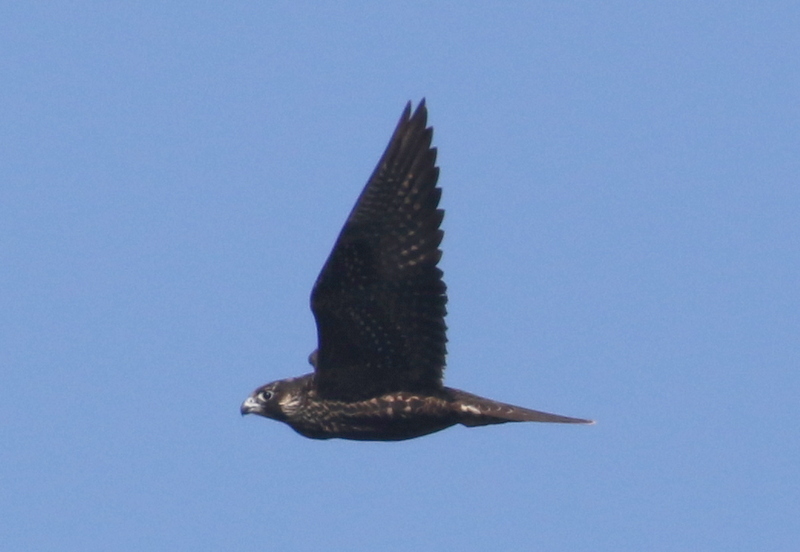 Back on the western side, we had another Peregrine fly by. This one was in much better shape than the ragged one we had out at Lake Andrew yesterday. When we got down to the west side of the flats, I spotted three shorebirds feeding out from the marsh edge. They were two peeps and a plover. 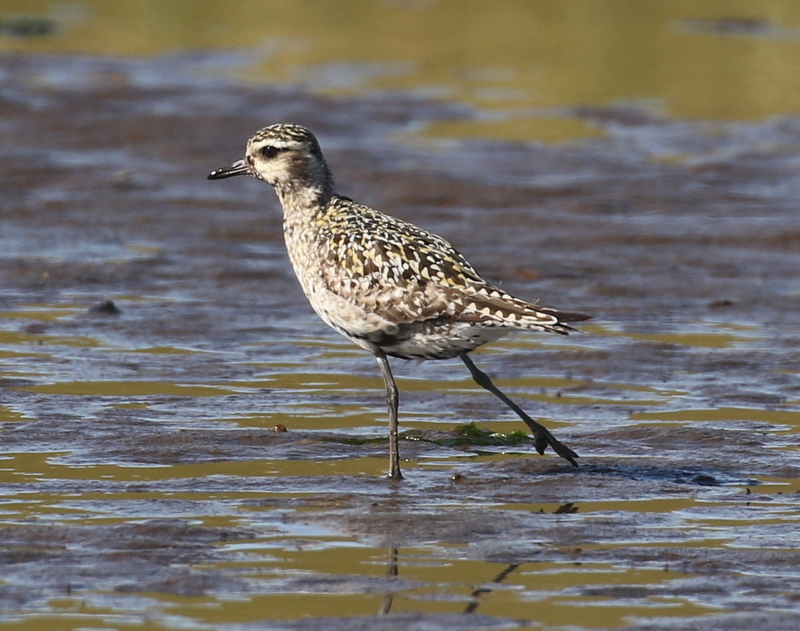 The plover was a Pacific Golden-Plover with a broken leg. They were a Western Sandpiper and a Little Stint. They were soon joined by a second Western. 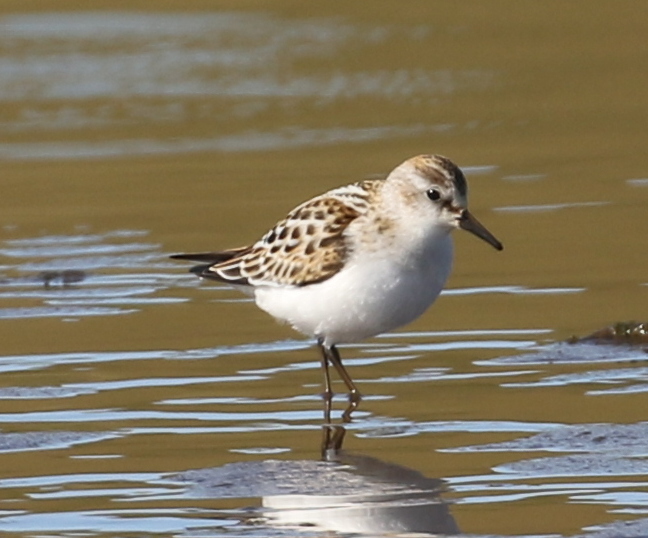 This is our third record of Little Stint on Adak (two photographed, all September). While Isaac was living here, he had one almost every fall. Since I was already part-way down the marsh edge, I continued down, but only had a couple of Pectoral and Sharp-tailed sandpipers the rest of the way. The Little Stint gives us a year’s list total of 90 — matching our previous best in 2007!